Hello all~! Welcome back to the Tuesday Tease! Guess what? 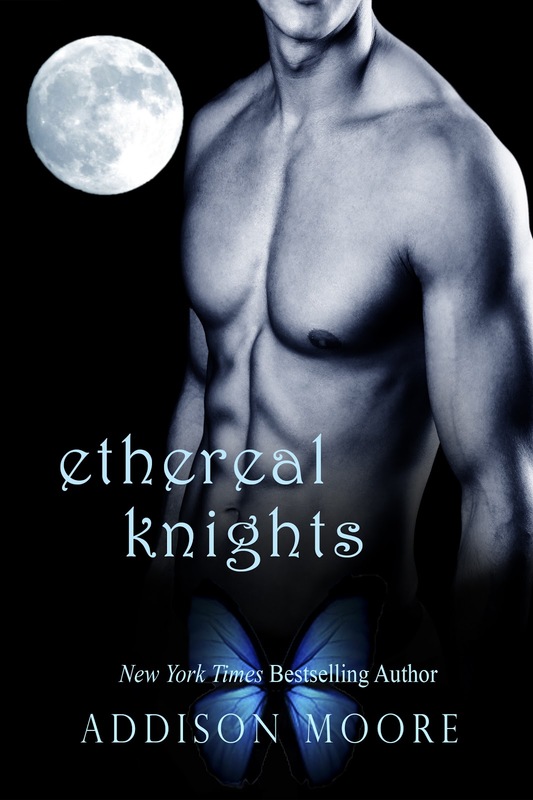 Here’s the working cover for ETHEREAL KNIGHTS! I have the book ready to go, but I’m waiting on one more beta. I’m thinking I'll do one more read-through in the meantime then send it off to the formatter. Lol! Sorry this is taking forever! I really do want to get it just right for you. And, as soon as I get it back from the formatter I’ll give you the heads up because that’s when I hit publish. I’m also knee-deep in ELYSIAN. Exciting and scary things are happening per usual. ;) But all of those good things will come to an end. Right now, Logan, Gage, and Marshall are dying to know how this all goes down, and I’m ready to let everyone in on the big secret. “If you ever get tired of playing with little girls, let me know.” She gravels it out so low it sounds like a threat. “I’ll find Wes and send him over.” Kres bites down over her pink lip as she twists into Laken. “I wouldn’t want him to miss seeing his girlfriend hit on another guy.” The two of them stalk off into the crowd. I wish they’d magically disappear. I wish a lot of people would disappear from Ephemeral and Laken’s “boyfriend” is at the top of the list. Her eyes catch the light and shine like a sea of crystal. She leans over and writes something in the damp sand just beyond her legs. The words Skyla +Gage appear across the polished slick, encased in a giant heart. “Nice.” I say, admiring her work, my heart racing like a mustang out of the gate. It’s all happening. Skyla and I are together in a roundabout way. Falling in love could be the very next step. Gage shoots a death stare over at him and the two of them battle it out with nary a blink. Have a great week! I’m going to try and work a miracle and actually have book out this week. I’m foregoing sleep for this one. Wish me luck! BTW, Someone to Love hit 6 weeks on the NYT list! Go Kendall and Cruise! oh my yummy... I LOVE the EK cover... I mean hot chest and the moon!! I love the moon. Fantastic teasers as always. Its crazy I nodded off while watching Ellen off my dvr while I was waiting for the teasers and it caused me to have a dream that I was at the Ellen show and you were the guest. You were promoting your new venture. a new tv series called Paragon!! and I was there to be able to meet you... It was pretty awesome :) .... You never know could happen someday. Anywho back to the teasers, I am so excited that EK will be done soon. Im also ready for more of Cooper and Lakens story. As for Elysian.. I will miss the series but will be glad to follow Skyla where ever you take her. I swear to all that is HOT this cover is perfect for ETHEREAL KNIGHTS! ^_^ >.< I am so excited to read this! <3 <3 <3 Evanescent and EK and then Elysian! <3 YAY ADDISON MOORE! ^^ LOVE YAH! This is killing me! I'm like a junkie waiting foe Tuesdays. I can't wait for book eight! Altho I am super xcited for EK, I am also a busy mom and know how important sleep is. Please do not forego it cauz all that will do is make u sick. Take care of u and the fam a cpl more days won't kill us. Lol. Great cover btw!! Ge Marquez - I love how excited you are! I hope you'll have fun on Paragon with Logan and Gage. compgeek- HUGE thank you for the cover love!!! I hope the book is equally as delicious to you! CouchThoughts - lol! I luv that you're a junkie in this sense. And I'm glad you're enjoying the teasers! Jessica Moran - Aw, I wish I could hug you! That brought me so much comfort. It's true, life is simply insane. sweetmary21489 - I'm so glad you're enjoying the teasers at work even! And, noted on the lack of sleep. I've actually been getting better lately with my hours and I always feel more energized the more I sleep. Duh, right? lol. I'm learning. I am just starting the celestra series. And like it so far. Congrats on Someone to Love. I really loved that book. And I think it is so cool that you take the time to reply baçk on comments that have been made. Keep up the good work. andreaetta johnson - I LOVE speaking with you guys! :) This is the best part of being an author. I'm super happy you enjoyed STL and are reading Celestra! I hope you enjoy Skyla's adventures as much as I do. I'm penning the end right now and it feels right. Thank you so much for reading!